Kara Sev is very popular snack. Most people buy it from shops which are prepared with unhealthy oil due to repeated use. Surprisingly it is very easy to prepare at home within half an hour. 1. Powder coarsely the pepper corns using the mixer grinder. 2. In a wide bowl, add Bengal gram flour, rice flour, powdered pepper, butter, asafoedita and salt. 3. Mix them well with your fingers. Then add water little by little and make a soft, smooth dough like chapathi dough consistency. Not like poori dough. 4. 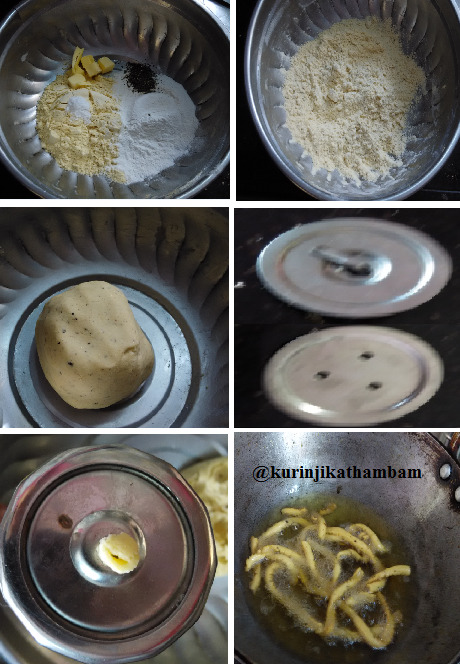 You can use murukku press with murukku maker plate (plate with 3 wholes) or sev-maker plate (plate with small circle at its center and have a pin attached. 5. Meanwhile heat the oil in a pan. Put a pinch of the dough into the oil. It should come up immediately if the oil temperature is correct. 6. Now grease the murukku press with oil and fill it with dough. Once the oil reached the correct temperature squeeze the murukku dough directly over the hot oil. Don’t overload too many pieces. 7. Fry them in a medium heat and turn over occasionally. Cook till the sizzling sound stops and the sev turns into golden color. 8. Then remove them from the oil and place it on a tissue paper to remove the excess oil. 9. Repeat the procedure for remaining dough. 10. Make all the dough into sev and allow it to cool down completely. Store it in an air tight container. 1. 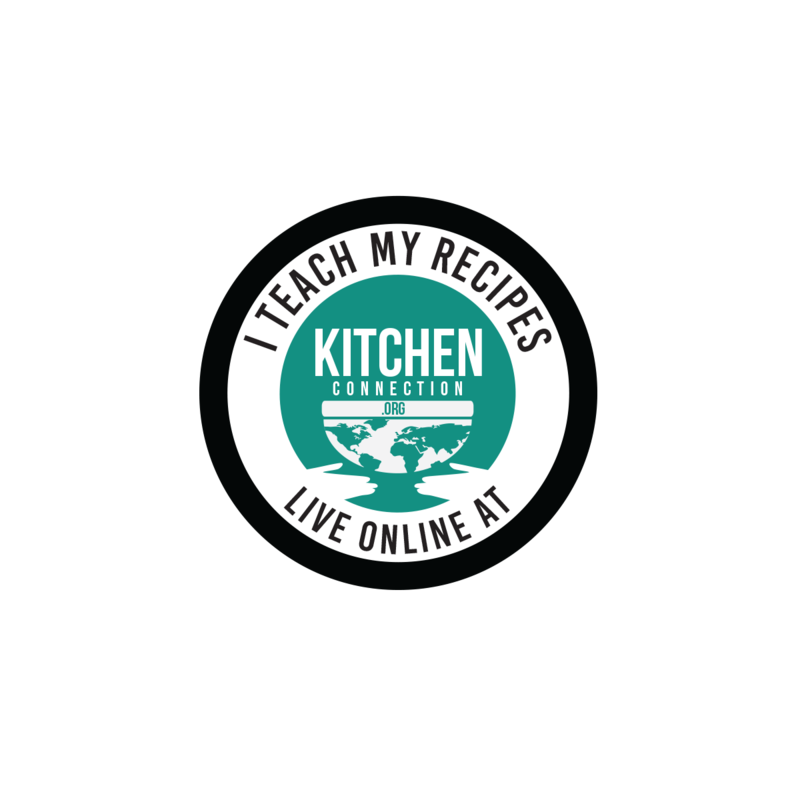 If you are preparing for bigger quantity then prepare the dough in batches. 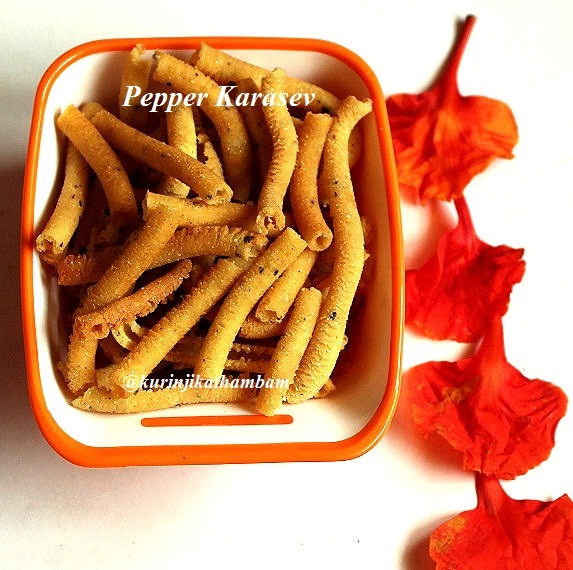 perfect snack to enjoy vth tea.vth pepper never tried.